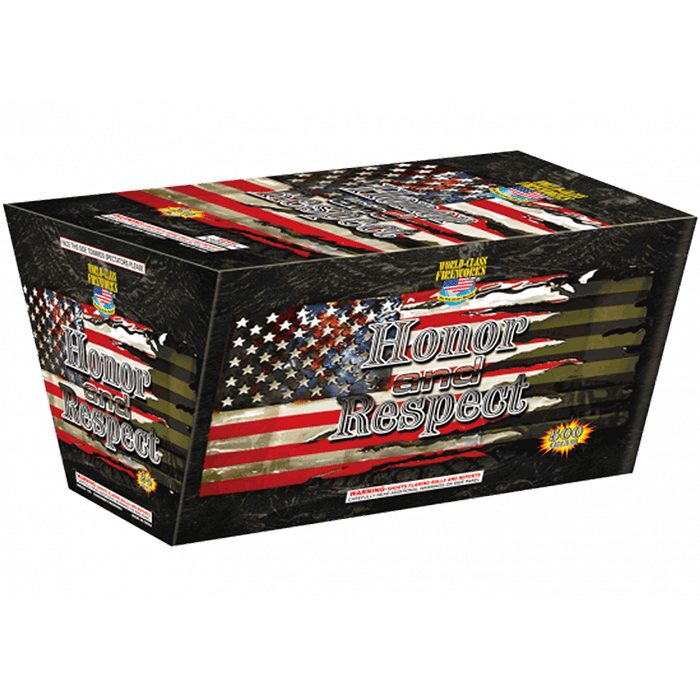 Honor and Respect – White glitter, red, green and sky blue mine; sky blue and lemon; purple and green; orange and sea blue; sky blue and green; red and lemon; purple and orange. Courtesy of The Red, White & Blue - 9 Shots of red dahlia sparkler, blue dahlia sparkler, white glitter sparkler then a brocade crown, white glitter sparkler & silver chrys. Break Out - Alternating bursts of red star mines to big crackling burst; white glitter mine to big crackling burst and blue star mines to big crackling burst.